This is the only dedicated magazine that focuses on the best App Store content, and which has been built from the ground up as a true interactive digital experience for iPad. 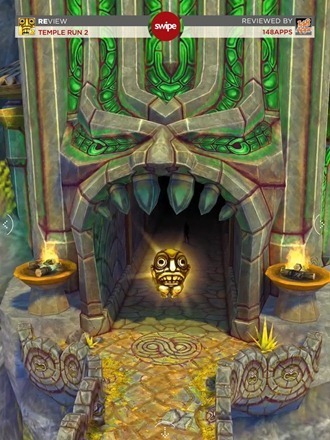 Every issue is packed with only the very best games, apps, and accessories as rated by the leading independent review sites of the iPhone Alliance – a genuine ‘who’s who’ of the iOS media so you know they are opinions you can trust. I’m a regular contributor to swipe and very proud to be part of the team on this magazine – so you can choose to take my thoughts on it with some grains of salt if you feel the need. I can tell you that as a reader I very much look forward to seeing each new monthly issue. 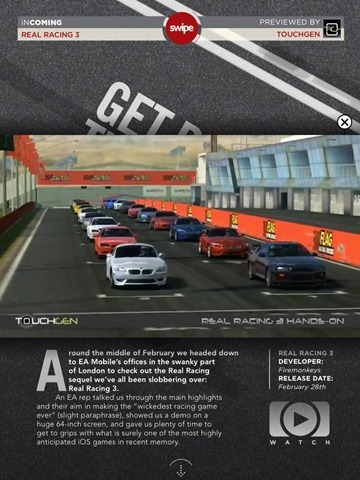 — A hands-on preview of the absolutely amazing looking Real Racing 3 – which is due out in less than a week now. — A hints and tips guide to Hundreds. 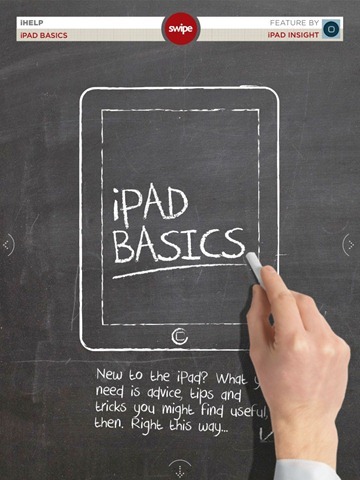 — The iPad Basics section – powered by yours truly and iPad Insight. One of the things I like best about swipe is that it’s a ‘proper’ iPad magazine. It feels a millions miles away from a print title slapped together for the tablet, because it isn’t. It was built from the ground up as an iPad title – full of clever interactive elements that bring a bit of extra oomph to its pages and graphics that do justice to the best iOS games it covers. As some of you may have noticed, swipe used to be a Newsstand title. That’s no longer the case, and it will be a standalone app from here on. Here’s an App Store link for swipe magazine; it’s a free app. Check it out if you have a chance and let us know what you think of it in the comments.